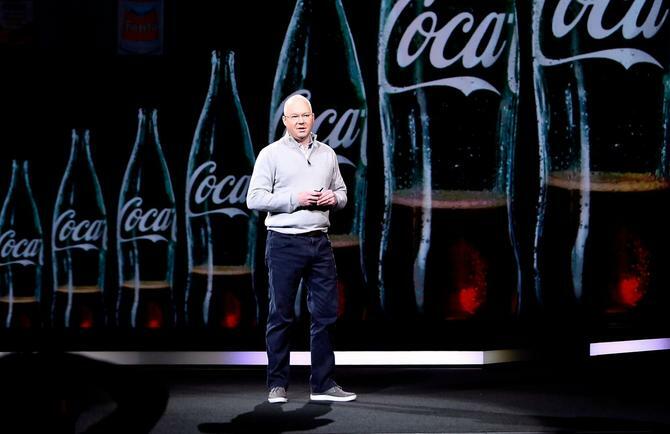 Changing culture across the marketing team is the hardest thing Coca-Cola has to tackle as it transforms the enterprise for the digital era, its chief digital officer says. Speaking at this year’s Adobe Summit in Las Vegas, the CPG’s digital chief, David Godsman, said the group kicked off its digital transformation 12 months ago, with the ambition of shifting a traditional bricks-and-mortar player to a digital leader in five years. To do this, the group identified four key areas of change: Experiences, operations, business and culture. Experience transformation is about how to create more relevant, personalised experiences for the consumers and customers servicing them, Godsman said. “Operational is about making us better inside, using data and technology to accelerate and remove processes and remove the burden we have,” he continued. “Business transformation is about disrupting ourselves before someone else does it. And it’s the latter that’s proven the most difficult to crack, Godsman said. “We are asking traditional brand marketers, who are brilliant at creating brands and executing campaigns, to become experience makers and think about the world differently,” he said. Since 1886, Coca-Cola has been on a journey and spent a number of years perfecting the product, before switching the focus to growing global scale, building out its portfolio of brands and then perfecting its distribution and the way the product comes into the market to ensure the company executes with certainty, Godsman said. “But we are facing a new world – a digital world,” he said. “This is a world that is somewhat unknown to us. It’s one where we need to learn more about consumers, understand their preferences and behaviours. It’s a world where we need to personalise, and at scale. Ultimately, it’s a world where we need to bridge the physical and physical together. Coca-Cola arguably has scale on its side. Today, the group boasts of serving 1.3 billion consumers globally across 200 markets, or 18 per cent of the world’s population, drinking nearly 2 billion beverages annually. The challenge is that this broad base of consumers are different, exhibit different behaviours and preferences, Godsman said. In order to meet such unique needs, it’s vital Coca-Cola engages with them in different ways. And that’s where digital helps. Godsman highlighted mobile, social, virtual reality as digitally fuelled technologies that are paving the way for new types of interactions, although he was quick to point out voice brings up a raft of fresh challenges as it removes brand, packaging and point-of-sale capabilities from a marketer’s arsenal. For example, consumers not only engage virtually with the brand through initiatives such as Coke Studio in Pakistan, they also engage physically and digitally through event such as Esports games. Coca-Cola VP of global design, James Somerville, who also spoke on stage, said digital and physical, while seemingly opposite, are both part of the design and contextual story the brand needs to build with consumers. Somerville referenced Coca-Cola’s ‘kiss the past hello’ initiative as the way the brand taps into its own history to learn what is good and bad, and what works and doesn’t work with consumers. He highlighted the changing face of the Coca-Cola female drinker between 1940s, 1970s and today as a way of illustrating how the story stays largely the same, but the context changes. As Coca-Cola evolves, technology, transformation and talent are vital, Somerville said. But ultimately, experience starts with the product. “It’s the texture, touch of the glass, temperature, and all the things we know about why people have loved this product for so many years,” he added.